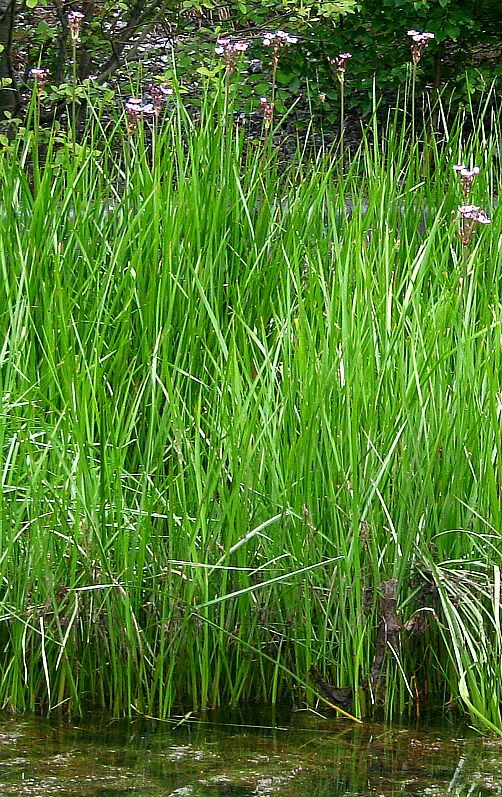 The one and only member of the Flowering-Rush family is a tall handsome plant of the same name. It is fresh-water aquatic and grows in profusion at the waters edge of canals and ponds etc. The Flowering-Rush family is not a member of the rushes. The fact that Butomaceae has no other genera in than Butomus, and that Flowering-rush is the only species within Butomus may not be all that surprising when it is considered what plants in aeons passed have perished in global extinction events. There may have been numerous families linking Butomaceae to the rest of the plant kingdom, but it has now been left high and dry as an island isolated from all other families and genera. There once may have been numerous related families, genera and species. Or it may simply reflect an imperfect taxonomical system of classification.